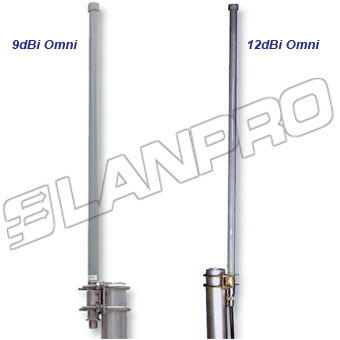 Yagi antennas are an excellent option when medium to large gain, low profile and rugged construction is required. 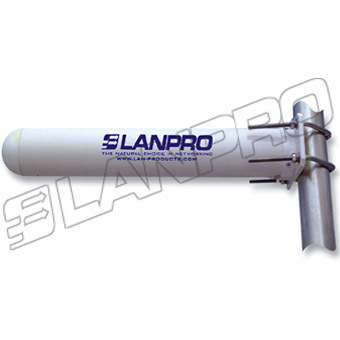 Our antennas are very stable, lightweight, small in size, and excellent performers. Thousands of them are installed worldwide; from icy fields to caribean beaches without any registered issue. Is by far, our best seller antenna. Ideal for CPE applications due it's low cost. Available with N or SMA connector. Heavy duty ABS radome. Ideal for temporary and portatile applications. 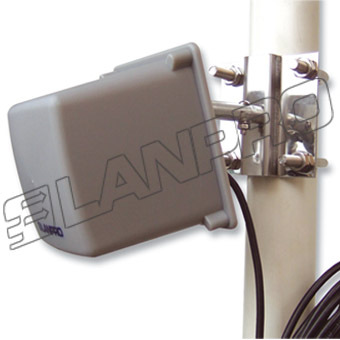 The LanPro Sector antennas are widelly used in WISP (wireless Internet service providers) in order to set up tower cells (similar to cellphone cells) and distribute the signal to a broad area or campus. You can use as many as you need in order to provide the necessary coverage to a sector. Able to handle up to 200 W input power. Scalable tilt-down mechanism for better coverage. They are robust and dependable. Parabolic antennas are best suited for long distance backhaul service; their directionality and high gain give best signals at long distances. 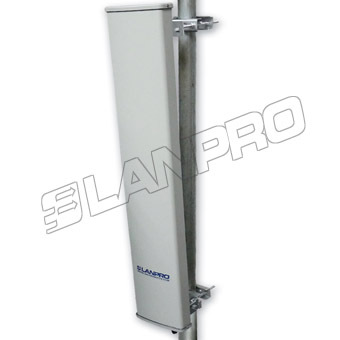 Panel antennas are best suited when the coverage area is a Campus, Hot spot, large areas where users wander with their Laptops or WiFi gadgets inside the coverage area, tipically a 60º horizontal and 60º vertical or farther with smaller angles. It is a good substitute for parabolic antennas when distance and performance is not that critical. Easy to hide. Very simple to align. 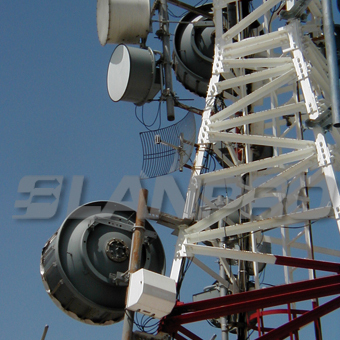 Omnidirectional antennas are best suited for applications in which a mobile client can be moving or in any position related to the horizontal plane.